Republic Day 2019 is a public holiday in India meant for the general population. On this day, schools and most businesses are closed so that everyone can enjoy it. Read on to find more about it. There is a lot of effort put into organizing events and celebrations for the Republic Day 2019 in India. 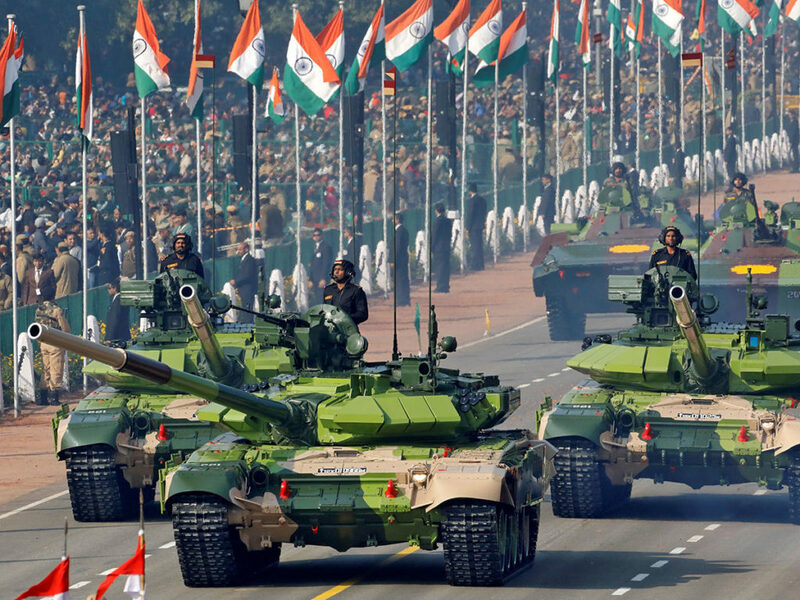 In New Delhi and other state capitals, large military parades take place and the state capitals. 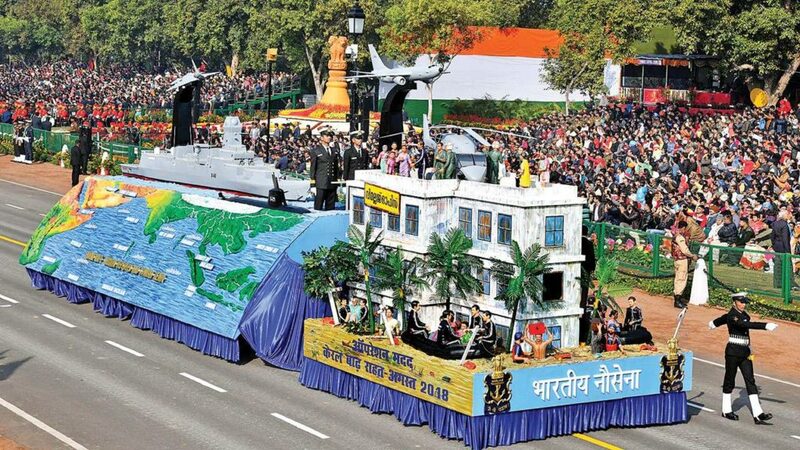 During these events, the representatives of the Indian Army, Navy and Air Force, as well as the traditional dance troupes take part in the parades and treat the people to a spectacle. There is a grand parade in New Delhi, which starts with the prime minister laying a wreath at the Amar Jawan Jyoti at India Gate. This act serves to remember soldiers who sacrificed their lives for India. The president takes the military salute in New Delhi, while state governors do it in state capitals. Each year, a foreign head of state is the chief guest of the president on Republic Day. Other important things that take place are the award and medal ceremonies of bravery, given to the armed forces and civilians alike. Helicopters also fly above the parade area, dropping rose petals on the audience. Schoolchildren participate in the parade as well, by dancing and singing traditional patriotic songs. Some of the army personnel also showcase amazing motorcycle rides. The parade finally ends with a “fly past” of the Indian Air Force, when fighter planes fly past the dais, symbolically saluting their president. The planes leave trails of smoke in the colors of the Indian flag, a magnificent view for the people. During the time of Republic Day 2019, many national and local cultural programs focus on the history and culture of the country. Children above all have a special place in these. They receive gifts, like sweets or small toys. Also around the time of the holiday, prime minister’s rally takes place, as does the Lok Tarang, a National Folk Dance Festival, taking place from January 24 until 29. Republic Day 2019, like every other year, took place on January 26. National, state and local government offices, post offices and banks do not work. Stores, businesses and organizations are either closed or work reduced hours. Due to necessity, public transport is usually unaffected, because many locals travel for various celebrations. Republic Day parades cause a lot of traffic and commotion, resulting in increased security, particularly in New Delhi and state capitals. What do the people of India celebrate during Republic Day 2019? The country became independent of the United Kingdom on August 15, 1947. At that time, they did not have a permanent constitution. The drafting committee presented the first draft of the constitution to the national assembly on November 4 of the same year. It signed the final English and Hindi language versions on January 24, 1950. On the first Republic Day on January 26, 1950, the constitution was in effect. The date was chosen as the anniversary of Purna Swaraj Day, held on January 26, 1930. The constitution gave citizens the power to govern themselves and choose their own government. Dr. Rajendra Prasad became the first president of India at the Durbar Hall in the Government House. His oath was followed by a residential drive along a route to the Irwin Stadium, where he unfurled the national flag. Ever since then, January 26 is celebrated with festivities and patriotic fervor across the whole country. It is essentially their Independence Day. Republic Day is the true spirit of the independent country of India. 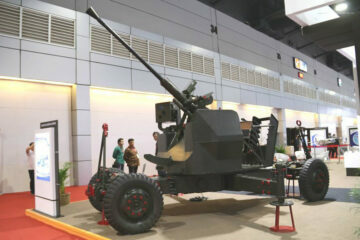 Military parades, military equipment and the national flag are the most important symbols of the date. India’s horizontal tricolor consists of deep saffron, white and dark green. The ratio of the width to the length is two to three. A navy-blue wheel in the center of the white part of the flag stands for the chakra. It is a wheel from the abacus of the Sarnath Lion Capital of Ashoka. The diameter is approximate to the width of the white band and has 24 spokes. Republic Day 2019 is arguably the most important holiday for its people, who are filled with joy and patriotism on this glorious day for their country.